Three weeks ago, yes, I’ve been bad at updating, Amy, Korrie, Dave and I went to Sedalia Missouri to check out the 2010 Missouri State Fair on its last day. I was partly there for fun and partly there to take pictures and video for work. Of course we all had our reasons for wanting to go. Amy wanted to experience cheese on stick, Dave wanted a foot-long corn dog, Korrie wanted to ride the tilt-a-whirl and I… I wanted to observe the people. There are always the most interesting people at fairs and by interesting I mean completely different than me. And by completely different than me I mean this. 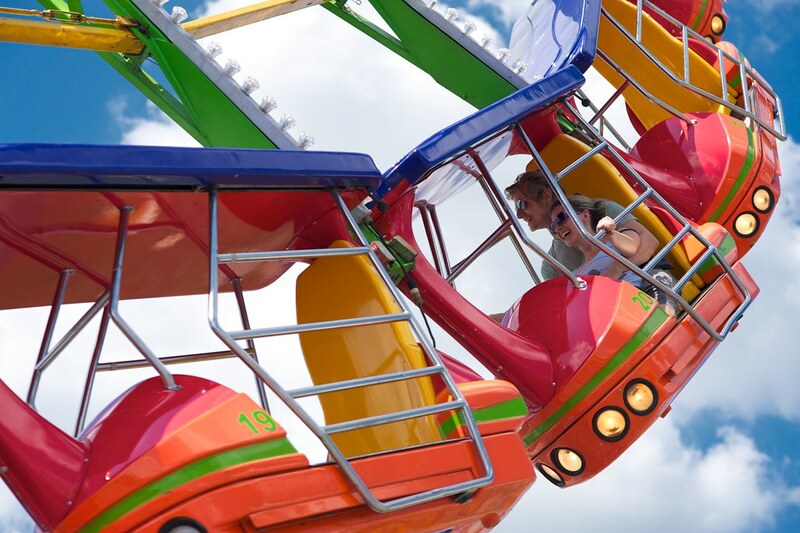 I haven’t been to a fair, carnival or the like where I didn’t feel like I was the only liberal-minded person around. The disparity between the Democrats and the Republicans at these sorts of events is truly remarkable. 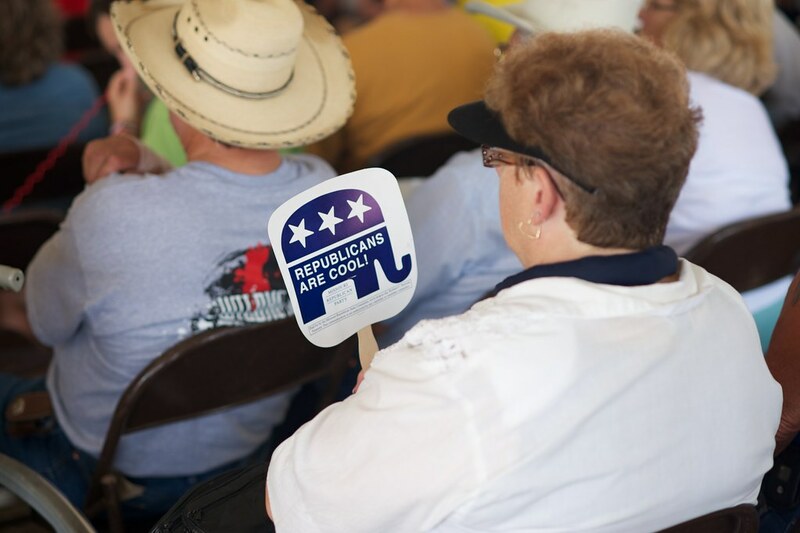 It reminds me of my participation in the 2004 George W. Bush reelection rally at the Boone County Fairgrounds. Geoff and I were given tickets to the event through a fraternity brother and were told to do our best to fit in. We were given instructions on what to wear, to carry, how to act. All this so they wouldn’t figure out we were actually Democrats. They made me take off my suit jacket and my oxford, presumably to make sure there wasn’t a “Kerry 2004” t-shirt underneath. We bumped into a friend who got in without inspection by carrying a bible under his arm. How apropos to Palin’s recent rant. Pretty sure in this election season, a Fire Pelosi sticker could be your ticket into just about any Tea Party or RNC event! 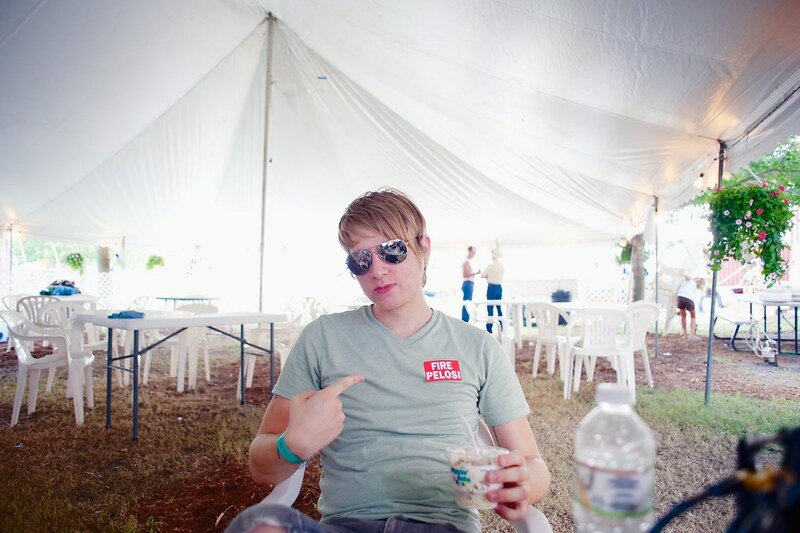 One of the first things I did was check out the Missouri Wine tent. I’m not the biggest fan of Missouri wines but I’m also not really familiar with too many of them. 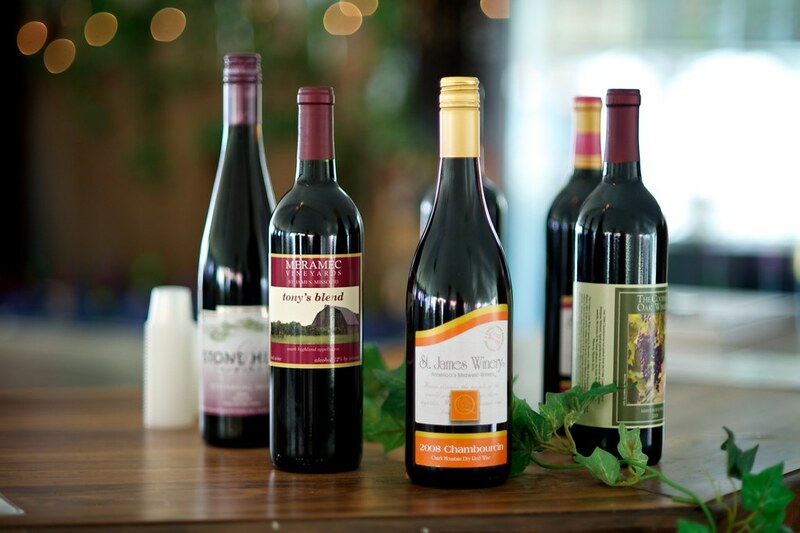 So, what better way to familiarize yourself than to taste a few? Of the wines I tried, Stone Hill was definitely the best. Missouri wines are typically described as jammy, sweet and a little over-the-top. I tried some from St. James Winery and, while it wasn’t too crazy sweet, you could actually taste the steel from the stainless steel tanks in which it is fermented. This was a bit remarkable since part of the point of stainless steel is that it doesn’t carry a flavor or smell. It’s why they make stainless steel odor removers. Metallic wine is no good. Amy and I enjoyed some pretty delicious cheese on a stick, Dave got his giant corn dog and Korrie got to ride her rides. I love theme park rides, even though they scare the crap out of me. Two years ago, Ryan and I went to Six Flags, or some similar theme park, and rode the rides all day long. It was an absolute blast. 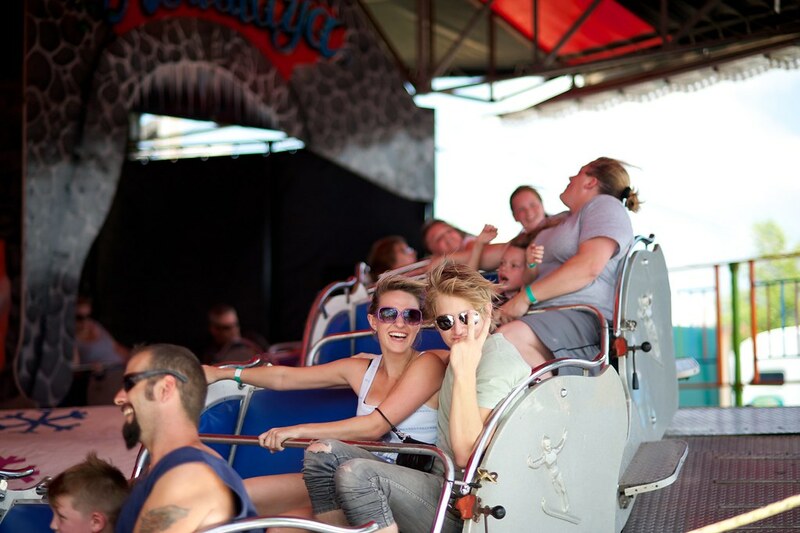 However, my better judgement normally tells me traveling carnival rides aren’t for me. I have this vision in my head of a bolt snapping, just as I reach the top of a a ride at full speed, sending me flying into the air. Thought, that’s not the part that scares me. It’s the part where gravity starts to pull me back down and I come crashing into the ground. Ouch. But you can’t deny the fact that Dave and Korrie were definitely having more fun on the rides than I was sitting on the sidelines. I do wish we had gone a week or so earlier. I would have liked to have had the full fair experience. By the time we got there most of the stuff was closing up. We didn’t make it to any shows beyond pig races and stunt dogs. There was an exhibit of farm animals which was kind of fun. Pigmy goats are adorable by the way. 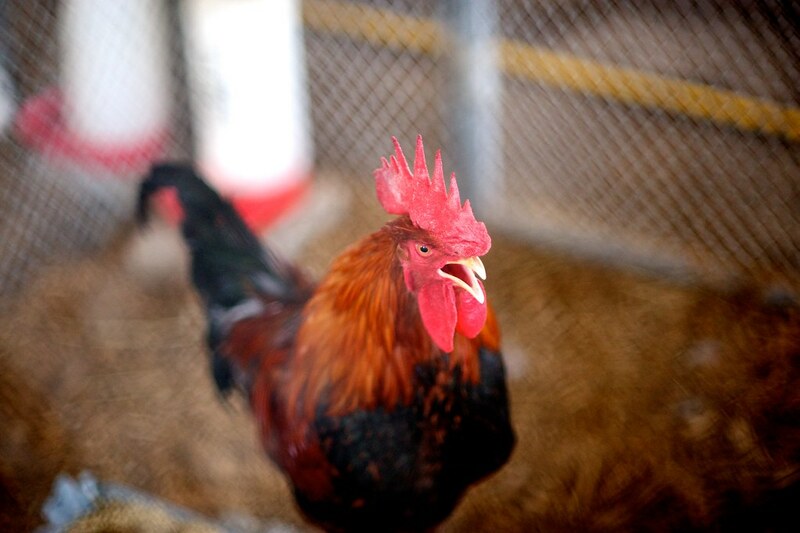 Tiny full-grown goats aside, nothing says farm life like a big ol’ red rooster. Next time around, I’ll go to the fair earlier. I’ll wear sunscreen, I’ll check out some shows, a rodeo perhaps and I’ll ride the rides. In the end though, I think we all had a great time. 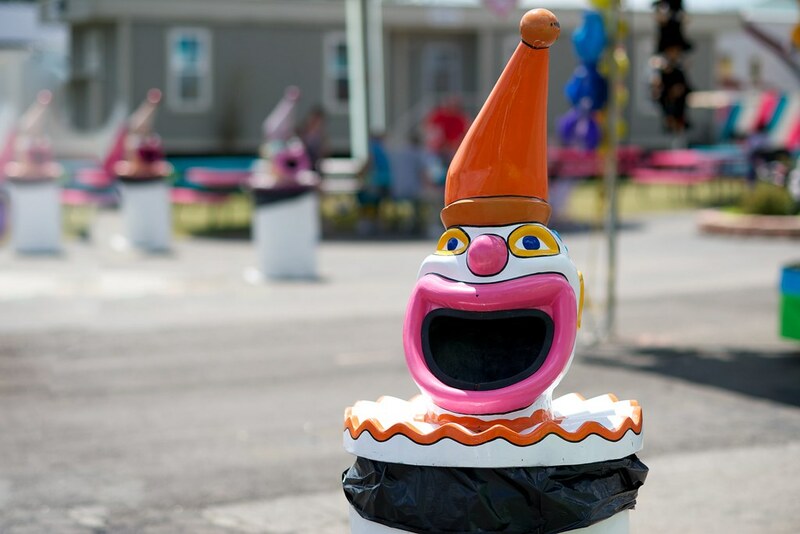 Holy cow, I almost forgot to show you the creepy trash receptacles they had all over the fair grounds! Felt very weird putting my trash into a clown’s mouth. Just say’n. This entry was posted in Life, Politics and tagged Amusement park, Amy, Boone County Fairgrounds, Dave, Korrie, Missouri, Missouri State Fair, Sedalia Missouri, St. James Winery, United States, Wine by Justin Scott. Bookmark the permalink.